Brighton is one of the most vibrant towns in the UK. Within an hour of London by train or car, it has become a very popular destination for day trippers and those who wish to relocate outside the capital. The town offers a different way of living to London, with a sense of community spirit that some say has been lost in many towns and cities throughout the UK. There is a large gay and lesbian community which has made the town unique for a seaside town on the south coast of England. Brighton is now seen as a culturally diverse and bohemian alternative to its noisy neighbour. This diversity and sense of community is also in evident in towns such as Lewes. There are many cafes, bars and clubs catering for a variety of tastes, young and old. Brighton beach is famous for its pebbles, with an expansive coastline, reaching out to Hove. 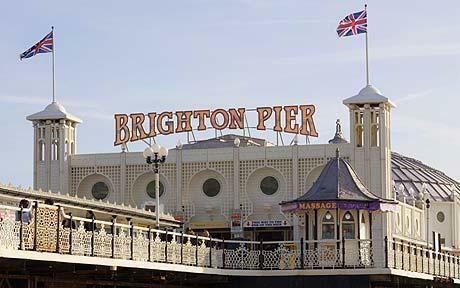 No trip to Brighton is complete without visiting the Victorian Brighton Pier. Lewes is a 20 minutes drive from Brighton, why not take in two towns in one weekend? For more information on events in and around Brighton, contact Orchard Bed & Breakfast.